The Brussels-Capital Region, more specifically the BRIC in collaboration with parking.brussels, Communithings and On Wheels, has been nominated for a Belfius Smart Belgium Award 2019 for the Smart Parking for Disabled People project, which is part of the European Union’s BioTope research project. 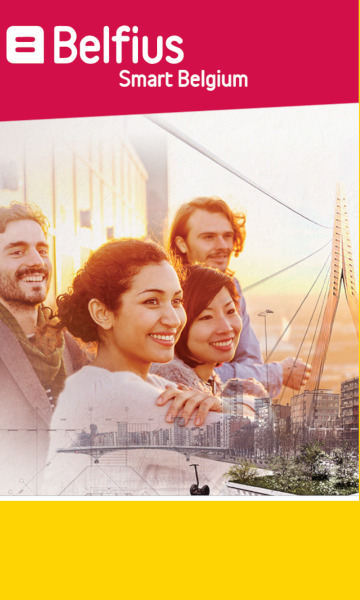 The Belfius Smart Belgium Awards are the most important “smart” awards, with over 150 participants and more than 50 nominees in various categories. The project of the Brussels-Capital Region is a ‘mobility’ project and has been nominated in the ‘Smart City Award for a local government ≥ 30,000 inhabitants’ category. The other nominees are listed here. In short, Smart Parking for Disabled People locates all the available parking spaces for people with disabilities. This project helps facilitate the mobility of people with disabilities in the city, with a localisation service, telling them where the available disabled parking spaces are. People with disabilities can now check the availability of these parking spaces in real-time, following the installation of an IoT parking sensor in these parking spaces, which is self-powered and connected to the LoRA network and Orange’s 4G network. The information about the availability of disabled parking spaces is made possible thanks to Open Data technology. Thirty-three sensors have thus been installed in disabled parking spaces in the municipalities of Jette, Evere, and Auderghem. The information about their availability is already made available through the On Wheels app (https://www.onwheelsapp.com) and is available through the parking.brussels app (https://parking.brussels/fr/smart-parking/application-mobile). The use of IoT technology (sensors) combined with the use of ‘Open Data’ information is a real innovation. Currently there is no similar service in Belgium. The BRIC oversaw and coordinated this ambitious project, together with various Belgian and European partners, namely the government of the Brussels-Capital Region; the municipalities of Jette, Evere and Auderghem; parking.brussels; Communithings, the supplier of the IoT sensors; On Wheels. The ceremony will take place on 24 April 2019. We in any event are very excited to see what will happen. And you?